A Maui vacation rental that will truly show you the meaning of paradise. Wake up every morning and enjoy a coffee on the lava rock jetty while watching the whales frolic offshore during the winter and then head down the street to taste the flavors of paradise at the weekly local Farmer's Market. With a serene tropical landscape surrounding you, take advantage of the large pool, tennis courts, and BBQ or simply jump in the ocean to experience some world-class snorkeling. 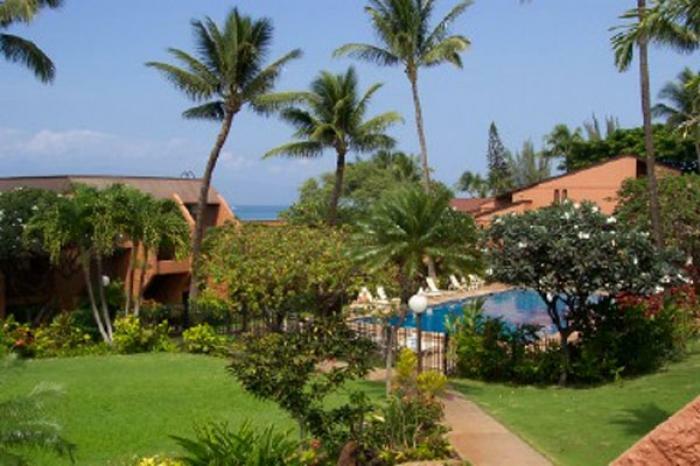 Conveniently located, these Maui condos are only minutes from the award winning restaurants, premiere golf courses and fantastic shopping of The Kapalua and Kaanapali Resorts. Just a short drive away are picturesque beaches, Napili Bay, D.T. Fleming's and "Airport." With this oceanfront vacation rental a place to call home on your holiday, there is no doubt its magic will call you back again and again.